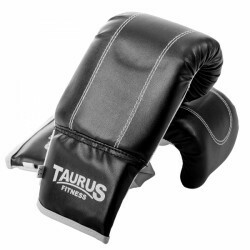 The Taurus MMA boxing glove Deluxe is light and sturdy - ideal for MMA workouts. 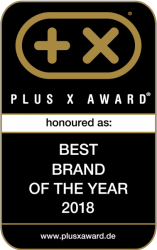 It fits safely thanks to its hook-and-loop fastener, padding protects from injuries. 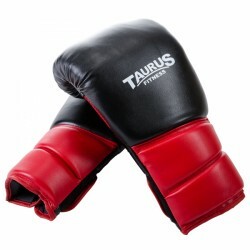 The Taurus boxing glove PU Deluxe is a sturdy starter glove with mesh insert for good ventilation. Wrist fixations and a sewed on thumb protection provide safety. The adidas gel-training-glove Speed has innovative gel paddings for protection of finger joints and offers a flexible use. 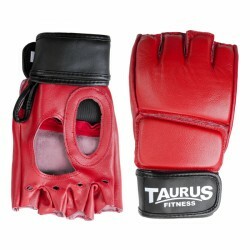 Be optimally equipped for equipment workouts with the Taurus punching bag glove. It is well padded and of stable workmanship. 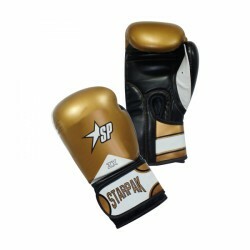 The Starpak Training boxing gloves gold/black/white are hard-wearing boxing gloves for the ambitious leisure boxer. Offering an 8 cm wide hook and loop fastener, they provide a comfortbable experience. 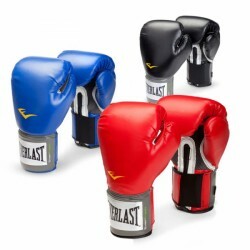 The Everlast Pro Style Elite Boxing Glove is a well padded training glove made out of durable synthetic leather and due to its ergonomic form is comfortable to wear. 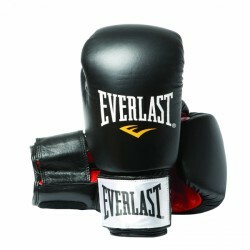 The Everlast Fighter boxing gloves are the most sold allround boxing gloves from the Everlast range. Practical training glove with soft padding and ergonomic mould - for beginners and andvanced practicing boxing or fitness boxing. The Paffen Sport training gloves Allround Mesh is ideal for boxing beginners thanks to its foam padding and breathable material. 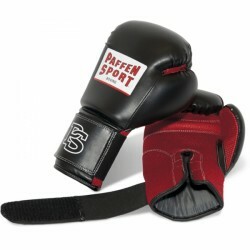 Either starting or having already collected first experiences in boxing: the Paffen Sport boxing glove Fit is a good choice. Being of hard-wearing workmanship and good padding, the Paffen Sport boxing glove Fit can also be used for demanding workout sessions. Boxing gloves - protect yourself and your opponent. The most important equipment for fitness boxing and martial arts are boxing gloves. Firstly, they protect from injuries. They absorb punches so that neither the boxer nor the target are injured. When you purchase boxing gloves, you will find out that most models have fixed thumb pieces on the actual glove. These measurements avoid that thumbs are turned while punching. Many gloves are equipped with hook-and-loop fasteners on the wrist for optimal stability and wrists are better protected from injuries. Another function of boxing gloves: they enlarge the surface of your guard so that better protection while doing sparring is given. 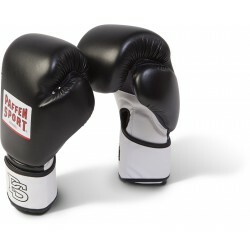 Purchase boxing gloves - weight/size. When you purchase boxing gloves, you will often find alleged "sizes" ounces. Many people compare the number of ounces with a size. Though an ounce is a unit of weight and corresponds to about 28.35 g. The ounce-sizing of boxing gloves tells only indirectly something about the size. The higher the weigth or the higher the number of ounces of a glove, the more absorption material is contained. Cut and fitting of boxing gloves are the same for different weights. Because of bigger quantitiy of filling material, a 12-ounces gloves is more flexible than an 8-ounces model. Bigger hands fit easier in gloves of high number of ounces. Different boxing gloves for different use. 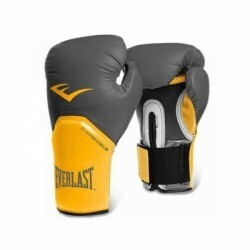 Besides common boxing gloves, ball gloves (punching bag gloves) are available as well. These are thinner and lighter and serve the increase in punch while exercising with a punching bag or other equipment. They protect fists from abrasions and other injuries. This kind of gloves is less padded and weight indications are not required. Size of ball gloves is given from S to XXL. 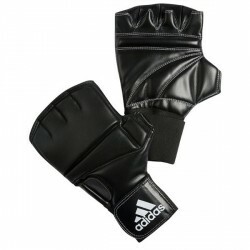 Special gloves are also available for martial arts sportsmen. These have an open finger zone, because grasping and throwing is often done for this kind of sports - and more flexible gloves are required.